Experiencing life without addiction is a distant memory for many alcohol addicts. For many, not being sober a day in a week is the norm. According to this statistic, 10.8 million adults in the UK drink enough alcohol to endanger their health and well-being. Out of those, more than 7 million are unaware of the dangers that alcohol abuse poses. In the UK, 10% of the health conditions and deaths registered, are alcohol-related. This puts alcoholism in the top three leading death and illness causes. Under the strict definition of binge drinking, 7% of the total population in the Kingdom can be considered so. Gender does not seem to play a large role here, 38% of men and almost 30% of females routinely exceeding the recommended amounts of alcohol. As you can see, the issue is a severe one. Seeking professional help for alcoholism is not always easy and due to this reason, alcoholism will remain the main cause of illness and death in the UK for many years to come. However, once an addict decides that the problem has to be fixed, the most reliable treatment form for them seems to be enrolling in an alcohol rehab program. A key symptom of alcohol fixation is the inability to stop drinking behaviours. Although many alcoholics may want to curb their addiction, they perceive the situation as not being able to, in spite of their attempts. Many accept this fact as it is and, in their minds, sobriety is simply unachievable. According to Rehabclinic, the best way to help someone struggling with similar problems is through an intervention. This approach is more effective if a major alcohol-related incident appeared previously. Having to deal with the consequences of their drinking problem might motivate many alcoholics to seek treatment and therapy. If one was involved in one of the following due to alcohol abuse, an intervention would be advisable. However, there is never a wrong time for alcoholics to seek help. The sooner, the better, considering the health concerns that can arise from alcohol abuse. Early interventions might increase one’s chances for long-term sobriety. According to experts from Port of Call, following a proven treatment regimen is essential. The treatment program can be tweaked slightly, but should be made from empirical data. While there is not on one-size-fits-all treatment option, rehab centres approach the matter systematically. Having a strong baseline to work around is a very important aspect of a successful rehab program. Similar approaches guarantee higher recovery rates and lasting sobriety and milder withdrawal symptoms. The three main stages of a successful alcohol addiction treatment are described below. Detoxification. When alcohol addicts stop using alcohol, they experience withdrawal. The detoxification stage may be the most important stage of the rehabilitation process. The most severe symptoms of withdrawal appear up to 48 hours after the last drink. During that time, it’s important for the patient to be professionally assisted in a rehab centre. While some symptoms may be mild, others are severe and medical assistance is mandatory. To find out more about the alcohol rehab stages click here. Rehabilitation. The rehabilitation stage is the main stage. 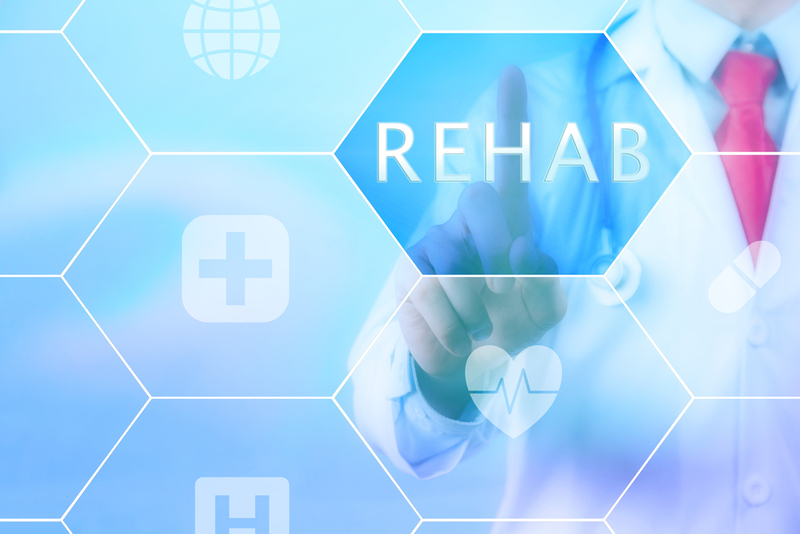 Generally, rehab centres incorporate different therapies and methodologies to locate the source of the patient’s addiction. The rehabilitation stage helps addicts to combat their drinking urges and learn more about what triggers this behaviour. They will be taught coping skills and mechanisms that will help them manage their urges daily. Correctly identifying the cause of their addiction is also an important step tackled in notorious rehab clinics. Considering the fact that there are both mental and physical factors that contribute to alcohol addiction, these things have to be assessed in a professional context. Maintenance. After the rehabilitation phase, maintenance is the main determinant based on which the success of the rehabilitation is assessed. This allows the patient to gradually accommodate to the daily life and resist the temptation in uncontrolled environments. Considering the fact that alcohol exposure appears on a daily basis, former alcoholics have to learn how to deal with exposure in a healthy fashion. In some cases, attending meetings like the AA meetings is important. In such meetings, former alcoholics can find sponsors and mentors to help them make a significant lifestyle change towards a sober life. For many, rehab centres are a costly investment. However, the proven advantages of seeking treatment in such contexts are undeniable. Of course, escaping alcohol addiction without professional help is not unheard of, but the chances to successfully manage this, spike in controlled environments. Besides, in unprofessional environments, the stress involved by the process might be too much for the patient’s body. Rehab centres offer a comfortable and safe environment to break the habit. In some cases, alcohol addiction is triggered by unhealthy home environments. In such cases, rehab centres offer a healthy and positive environment for addicts to overcome their dependencies. A quiet and controlled environment offers patients the right context for introspection but also allows them to learn how to manage their destructive behaviours. Rehab centres allow patients to learn more about the negative effects of alcohol abuse, which might motivate them enough to break the habit. Learning more about alcoholism, how it appears and how it can be overcome allows patients to score small victories in their journey and motivates them strong enough to eventually kick the bait. Patients in rehab centres enjoy high medical assistance in their process which prevents them to safely manage their alcoholism issues, including the unpleasant withdrawal symptoms, which in some cases can be life-threatening. Many rehab centres have a holistic approach to the entire process which makes it noticeably better. A holistic approach to alcoholism allows the patient to identify all aspects of their life that led to the issue in the first place. While many alcohol addicts might attempt to treat their addiction in uncontrolled environments, choosing a professional rehab centre will help them enjoy potentially life-long sobriety.